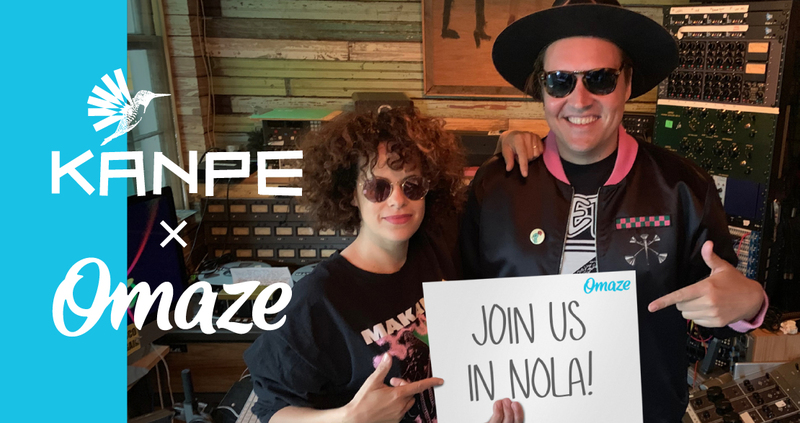 We are thrilled to announce a unique fundraising campaign with Arcade Fire’s Régine Chassagne and Win Butler in partnership with Omaze. Each donation will support KANPE’s mission in Haiti. From February 21-23, you and a friend could be Win and Régine’s special guests for their Krewe du Kanaval event, a joyful celebration of the deep historical and cultural bonds between Haiti and New Orleans. Head to New Orleans to be Win Butler and Régine Chassagne’s Guests of Honor for their Mardi Gras festival, Krewe du Kanaval. Walk in the procession with Win and Régine and enjoy their special performance at the festival’s Kanaval Ball. Have Win and Régine perform an Arcade Fire song for you and dine with them at Latrobe’s on Royal. Be flown to NOLA and put up in a 4-star hotel. For more details, visit Omaze.com.